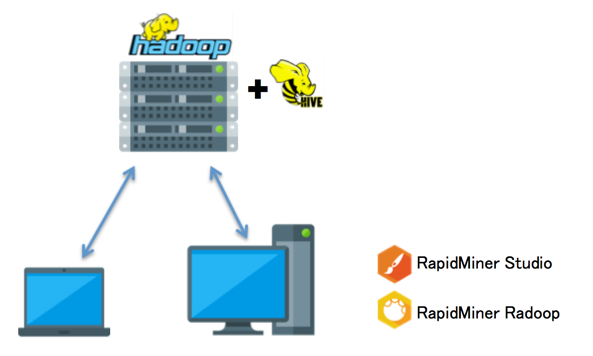 RapidMiner Radoop provides an easy-to-use graphical interface for analyzing data on a Hadoop cluster with a running Hive server. This introduction provides a quick description of the software and the capabilities of the solution for processing and analyzing big data. This document, RapidMiner Radoop Overview, provides some background and resource material for using Radoop. It assumes that you are already familiar with using RapidMiner Studio. a quick overview of Radoop, including a description of Radoop operators and the Hadoop Data view which allows you to easily manage your data on the cluster. 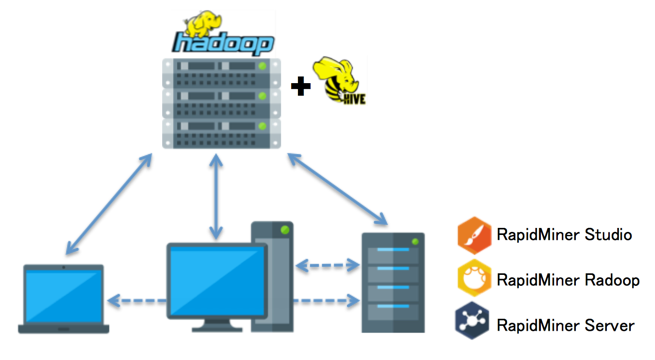 a guide to importing your data if it is not already in a Hive structure on the Hadoop cluster. explanation of more advanced features, including designing data mining processes, scoring, evaluation, and advanced data flow design. discussion of how to modify the settings that influence Radoop.